This book describes and analyses the Swedish legal rules and practices regarding jurisdiction, mutual legal assistance in criminal matters, extradition and the EU arrest warrant. 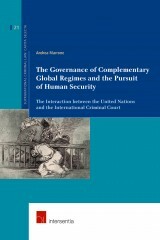 The Swedish law and practice in international criminal law is particularly significant for two main reasons. 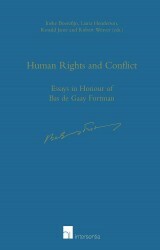 It is a system which is both logical and coherent. It displays a considerable Germanic theoretical influence, but its sophistication is tempered by pragmatism, designed to facilitate “user-friendliness”. Secondly, the Nordic countries, because of a common history, and shared language and cultural factors, have long had a very high and effective degree of cooperation in international criminal law matters. maart 2011 | xviii + 278 blz. 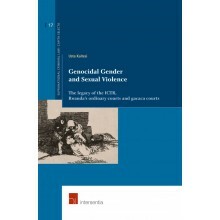 This book describes and analyses the Swedish legal rules and practices regarding jurisdiction, mutual legal assistance in criminal matters, extradition and the EU arrest warrant. 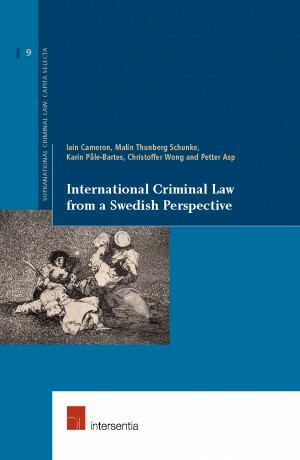 The Swedish law and practice in international criminal law is particularly significant for two main reasons. It is a system which is both logical and coherent. It displays a considerable Germanic theoretical influence, but its sophistication is tempered by pragmatism, designed to facilitate “user-friendliness”. Secondly, the Nordic countries, because of a common history, and shared language and cultural factors, have long had a very high and effective degree of cooperation in international criminal law matters. The experience of the Nordic cooperation has been an important inspiration for the legislative work of the EU in the field. 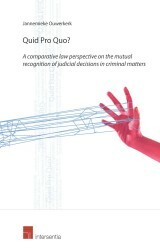 To create a “European judicial space”, based upon both harmonization and mutual recognition of decisions, the EU has produced a large number of instruments to improve judicial and prosecutorial cooperation in criminal matters. With the adoption of the Lisbon Treaty, the pace of EU legislation in the field will increase. These EU instruments cannot work effectively unless they are integrated properly into the criminal law systems of the Member States, and these systems in turn facilitate efficient cooperation. The European judicial space also requires a high degree of understanding of other systems and a high level of mutual trust. 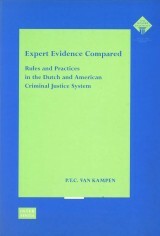 At a time when regionalization and globalization are leading to an increase in the number of offences with a transnational dimension, this book is designed to make the “best practices” of the Swedish system of international criminal law accessible to an English-speaking legal public of both practitioners and academics.